If you’re hosting Thanksgiving dinner you have a lot on your plate, both literally and figuratively. After working in the kitchen preparing the turkey and all the fixins’ the last thing you want to do is clean your house like Cinderella to get it back to the way it was before Thanksgiving. That’s why there’s Rosie’s Cleaning Service. Rosie’s team of professionals will come in and take care of your after-Thanksgiving mess once all the relatives go back home. Hire a professional cleaning team you can trust. Rosie’s has been serving the Santa Barbara community since 1990. We are licensed, bonded, and insured, so you can have peace of mind when you leave your house in our hands. 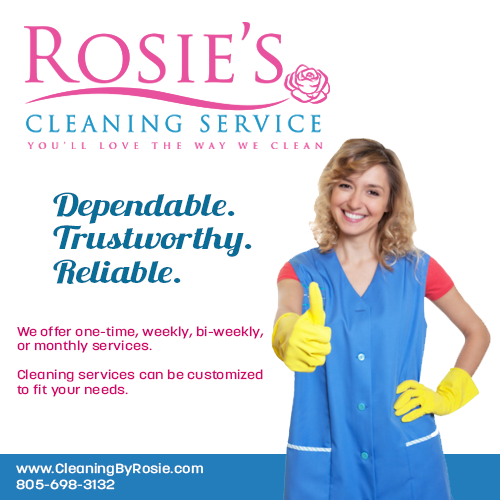 Once you hire Rosie’s Cleaning Service to clean your home, you’ll want to hire us again and again. Not only are our prices extremely reasonable, but we have positioned ourselves as the lowest cost Santa Barbara cleaning service. Many people are repeat customers not only for the price factor, but for the other perks you get when you have someone else do the dirty work. Since they don’t have to spend their spare time cleaning the house they have more time to spend with family and do the things that really matter. Many customers tell us they also use some of the extra time to work out and even read a book! Besides freeing up time, there is also the peace of mind of knowing that a clean house is a healthy house. You don’t have to worry about dust, mold, or other allergens building up and causing your family members health problems. In the end, having a clean house means less trips to the doctor’s office and less medical bills. It’s just another reason to make the investment and let Rosie’s Cleaning Service get the job done. So, what are you waiting for? 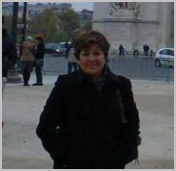 Call Rosie’s Cleaning Service today at 805-698-3132 or visit our site at https://www.cleaningbyrosie.com. Let us take care of your post-Thanksgiving clean-up and beyond. Q: What hours can I schedule an appointment to have someone come in and clean my home? A: Our regular business hours are Monday-Saturday from 8:00am-5p.m. There is an extra charge for visits on Sunday. Other times are available if requested. Q: Do I need to schedule weekly service or are there other schedules? A: We work to suit your needs. You can set up weekly, bi-weekly, or monthly services. There is also the option of one-time service. But, once you get Rosie’s team in your home, you’ll want us back! Thanksgiving Day Pumpkin Smash: Come on down to the Santa Barbara Zoo on Thanksgiving, November 24, 2016 at 10 a.m. The zookeepers will be giving the animals pumpkins to play with to see what happens. 5K Gobble Gobble Run: Enjoy live music, food trucks and wine tasting at this annual event. This year’s event will be held at Foxon Canyon Road. Enjoy a glass of wine at the finish line at Fess Parker Wines. New Noise Musical Festival: Two days before Thanksgiving, November 22, 2016, be sure to stop by the downtown Santa Barbara area at 3p.m. for a variety of performances. Blush Restaurant Downtown: Blush will be having a Thanksgiving dinner celebration in downtown Santa Barbara. Blush is a cozy restaurant and lounge that will be open from noon until 10:00 p.m. You and your guests can sit back and relax while their chefs do all the cooking. Qui Si Bella Spa is running a Thanksgiving special for their day spa and massage services. Take your family and friends to the spa and get a mani / pedi!